10.2?? Road Naming - Woomera Drive, Jiboru Way and Wallunka Close, Macksville ???? 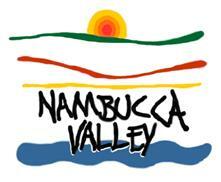 Phase 2 analysis of pipeline from Bismark to Nambucca Streets authorised.? Not expected to be completed until 30 June 2010. Option for a rebated access ramp in lieu of removal of podium in Council Chambers is put to the Access Committee. Response from the Scientific Committee was attached for a previous meeting. No response as at 23/4/2010. Report to Council?s meeting on 15 April 2010.? Brief issued to Department of Services for a response on 16 April 2010.? Department engaged on 3 May 2010.? Work will be completed within 3 months. Council invite the RTA to address the flooding issues directly at a future Council meeting. By email on 19/4/2010 Bob Higgins, head of Pacific Highway taskforce, invited to address a GPC on 19 May 2010.? Followup letter sent 29/4/2010. That prior to any meeting with the RTA, a list be provided to the RTA, the Department of Planning and Councillors identifying all issues Council has in regard to the flooding. Letter identifying all issues sent to Dept. of Planning and RTA on 29/4/2010.? Letter to Dept. of Planning also advises that Council does not accept RTA?s environmental assessment. Council consider funding an assessment of the odour issue (Tewinga piggery) in the 2010/11 budget. To be reported in May/June with the draft budget. Meeting to be arranged and reported to Council. That a report be prepared on the condition of Council?s public amenities buildings. Report on or before June 2010 GPC. A report be prepared on options for the insurance of all Council buildings. Loan and lease matters relating to Bowraville Theatre be deferred for one month. To be reported in June 2010. That Council defer requesting the Committee of Management to consider the opportunity for transfer of trusteeship of the Boulton?s Crossing Reserve to the NPWS until the Minister makes a decision on whether the number of sites can be maintained. That the Boulton?s Crossing Committee of Management provides its Treasurer?s Report from the AGM. Letter sent 12 May 2010. Council defer consideration of a request to change the name of the Valla Beach Urban and Hall CoM to the Valla Urban and Hall CoM to provide for consultation with the Valla Public Hall CoM. Letters sent 10 May 2010. Council?s Director Engineering Services, Bruce Redman, has tendered formal notice of his retirement effective 6 August 2010. Bruce?s local government career spans 40 years, 21 of these with Gloucester Shire Council and 19 with Nambucca Shire Council. It is proposed to commence recruitment for a new Director Engineering Services immediately. 1??????? That Council note the impending retirement of current Director Engineering Services, Mr Bruce Redman, and thank him for his commitment, loyalty, professionalism and sheer hard work over 19 years dedicated service. 2??????? That Council commence recruitment of a new Director Engineering Services on a five year fixed-term renewable contract and total remuneration package of $140k per annum with the selection panel comprising the Mayor, General Manager and Manager Human Resources. The term of the contract can be between three and five years. The term recommended is in line with the General Manager?s contract term. Council can determine the value of the total remuneration package differently. The value recommended is based on current market data for comparable sized councils and is equivalent to the existing budget allocation. Council?s Director Engineering Services, Bruce Redman, has tendered formal notice of his retirement effective 6 August 2010. Bruce commenced his local government career as an eager and fresh-faced 18 year old with Gloucester Shire Council in 1970, rising through the ranks to Deputy Shire Engineer. In October 1991, Bruce was appointed Deputy Shire Engineer of Nambucca Shire Council and in February 1996, was appointed Director Operations and Technical Services (later retitled Director Engineering Services). Whilst too often bearing the brunt of the community?s annoyance and anger towards Council, Bruce has remained stoic and professional.? His humanitarian qualities, sense of humour and good example have also seen Bruce create and maintain a harmonious working environment and develop steadfast relationships with his staff and colleagues. If the remuneration offered is not competitive, there is the risk that Council will not attract a high quality pool of applicants. The remuneration proposed to be offered is within the current budget allocation. The Saleyards Advisory Working Group met on 4 May 2010 to review the risks identified in the South Eastern Workplace Safety report and the issues canvassed at the recently conducted Saleyard Safety Workshop. The Property Officer and Risk and Safety Officer reviewed and prioritised the compliance issues raised in the South-eastern Workplace Safety Report. The risks identified as arising from the non compliance were ranked in order of ?works that required immediate attention? through to ?work required? within the next three years?. From this exercise remedial work estimated at $448,000 was identified as requiring immediate action. It was recognised that neither the Property Officer nor Risk and Safety Officer has extensive or first hand experience in the saleyard industry and accordingly the same list of risks was presented to the Saleyard Advisory Committee for assessment and ranking. From this exercise remedial work estimated at $279,000 was identified as requiring urgent action.? A copy of the Working Groups appraisal is circularised for reference. The minutes from the meeting are attached. 1??????? 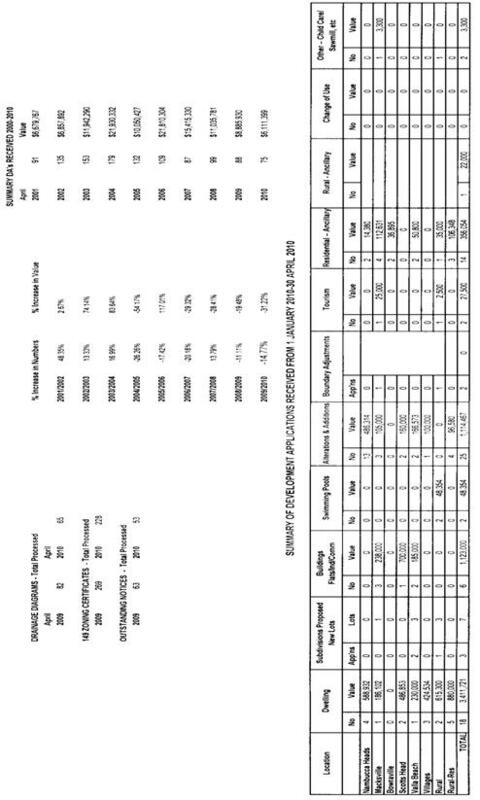 That Council note the Saleyard Advisory Working Group?s assessment and ranking of the risks identified in the South Eastern Safety Report of the Macksville Saleyards dated January 2010. 2??????? That the Saleyards Advisory Working Group note the submission from Cr Moran OAM and thank him for his input. 3??????? That Council reconsider budget allocations for the 2010/2011 budget to allow the cost of addressing the risks identified in the South Eastern Safety Report of January 2010. The report is presented for Council information.? A further report on the future management options for the Saleyard is being complied and will be presented to Council prior to the end of June 2010. Total cost of immediate action required - $279,000. The recommendations in this report are as per the recommendations of the Saleyard Advisory Working Group. The recommendation does not present any risk to Council although it should be noted that action is required on either council divesting itself of the Saleyard operation or committing to the estimated costs of rectifying the areas of non compliance and risk. Whilst the recommendation does not prompt expenditure at this stage there will be a significant impact on future budgets should Council elect to expend the monies required to address the identified risk at the Saleyards. The recommendation does not prompt expenditure at this stage. The Saleyards Advisory Working Group declares that its member comprise entities that have a vested interest in the continued operation of the Saleyards. That the Minutes of the Saleyards Advisory Working Group meeting held 8 December 2009, be accepted as true and accurate. That the Saleyard Advisory Working Group report to Council their assessment and ranking of the risks identified in the South Eastern Safety Report in the Macksville Saleyards dated January 2010. Note:? The Manager Business Development (Mr Wayne Lowe) excused himself from the meeting at 9.50 am. That the Saleyards Advisory Working Group note the submission dated 3 May 2010 from Cr M Moran OAM and thank him for his input. That Council reconsider budget allocations for the 2011 Budget to allow the cost of addressing the risks identified in the South Eastern Safety Report of January 2010. The next meeting will be held in June 2010 or as soon as possible after Council?s determination on the future of the Saleyards. There being no further business the Acting Chair closed the meeting the time being 10.30 am. The return on investments to 30 April 2010 is $1,659,211.96. During April, Term Deposit interest rates varied from 4.60% for 30 days and up to 6.57% for 12 months. For April the Managed Funds showed a mix of positive & negative returns with Macquarie Income Plus returning $43,314 and ANZ $8,838 and Aberdeen a negative $6,812 and Tcorp a negative $6,002.? Council received the $12.75 Million ten year interest free loan funds on 30 April which was transferred into the ANZ On Call account until these funds were invested on 3 & 4 May 2010 with various institutions. Council currently has $21 Million with Managed Funds with the balance of $18 Million on term deposits, but this be reversed next month when the $12.75 Million is taken out of the ANZ account and invested as Term Deposits. Another wind up amount of $241,176 was received from Blackrock and this was transferred into the ANZ on call account, leaving a balance in Blackrock of $435,275. Council has also been notified in April that the Allied Irish Bank will be closing its branch in Sydney in September 2010 due to the current market conditions and the relatively small scale of their operation in Sydney.? Council invested $500,000 with this bank in March for 12 months @ 6.35% and the bank has stated that the funds are fully secure.? Allied Irish Bank has been notified to redeem these funds on 12 May 2010. This report details all the investments placed during April and Council funds invested as at 30 April 2010. That the Accountants? Report on Investments placed to 30 April 2010 be noted. This report details all the investments placed during April 2010 and Council funds invested as at 30 April 2010. A review of budgeted interest returns for 2009/10 will be included with the March Budget Review and Grove has provided Council with the updated interest rates. Interest on investments will be assessed with the March 2010 Budget Review.? Variances have been distributed between the Water, Sewerage and General Funds. The figures show a -9.71% decrease in the number of DA?s received to April 2010 with construction costs decreasing by -179.52% compared to the same period in 2008/2009 (there was a particularly large development during this comparison period). The total number of DA?s/CD?s approved for the month of April was 15 plus 1 modification. DES is considering road and traffic impact and will recommend conditions accordingly. Site inspection and interview with objector 21/4/10 - recommend conditions to address concerns raised. This has been Called in ?and will be considered at the 16 June GPC. DES is considering stormwater impact and feasibility of pumping stormwater to the street. Site inspection 22/4/10 ? recommend conditions to address concerns raised. Consent to be issued by mid-May. The following is the Contract Regulatory Officer?s Report for April 2010.